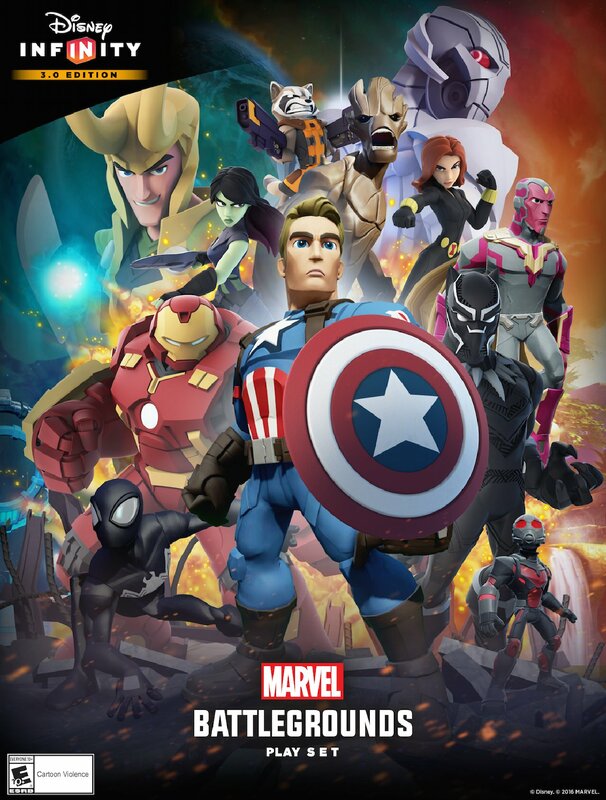 Disney Interactive has officially announced that Marvel Battlegrounds, the upcoming Play Set for Disney Infinity 3.0, will be released on March 15! The Play Set will be released with a new figure, Captain America – The First Avenger, a new version of Captain America with a new pose, costume and enhanced abilities, and fans that pre-order the set will be given a free Disney Infinity 2.0 Marvel Super Heroes character at select retailers. You can pre-order your own by clicking here. Featuring a new four-player, arcade brawler style of gameplay, and an original Marvel storyline, Marvel Battlegrounds was developed by United Front Games, in partnership with Avalanche Software. Marvel Battlegrounds is the first Disney Infinity Play Set to feature four-player gameplay taking fans across the Marvel universe with levels including Knowhere and Wakanda. 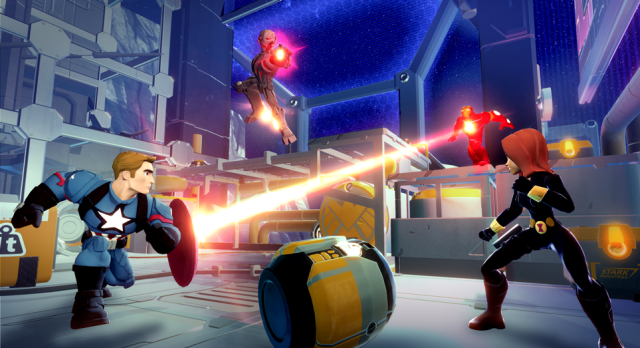 With full compatibility for all Disney Infinity Marvel characters, Marvel Battlegrounds features the widest selection of playable characters of any previous Play Set. Disney Infinity 3.0 is available now in stores around the world.